Our fees are structured on the number of items and work involved rather than the actual value of your jewellery. 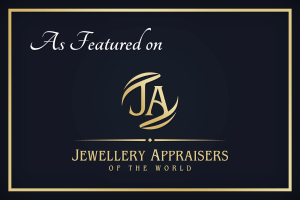 If required, we are able to group items of lower value together ensuring you have a complete inventory of your jewellery without unnecessary expense. We believe this to be fairer and more ethical which, in the majority of cases, has the added benefit of knowing exactly what your valuation will cost from the outset. Furthermore, we offer a re-valuation service on items we have valued before, within the last five years, at the preferential rate of 25% of the current item fee per item plus a report update fee ~ thus helping ensure you do not find yourself under- or over-insured. Please contact us for free advice as to which items may require valuing separately and which items may be included under a group heading. 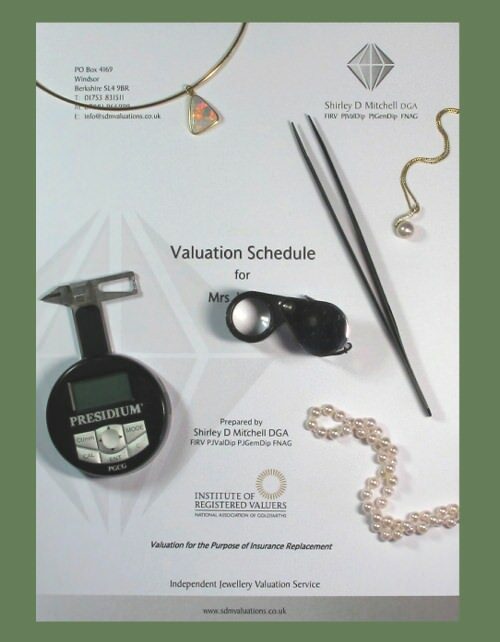 All our valuations are bound in a high quality folder and contain digital images of your jewellery together with a full description including stone weights and dimensions, hallmark details, gross weight and current value. Note: Premium items are those that take longer to research, such as diamonds over 1.00ct, large multi-stone items and some antique items, however most items are charged at the standard rate. Diamonds over 1.00ct are charged at £75 per carat. All fees are inclusive of VAT at the current rate.